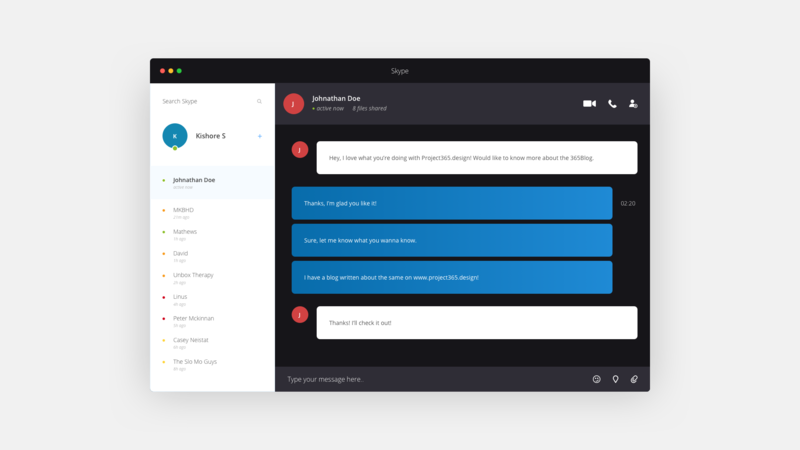 Brief: To redesign Skype in a subtle, functional manner! 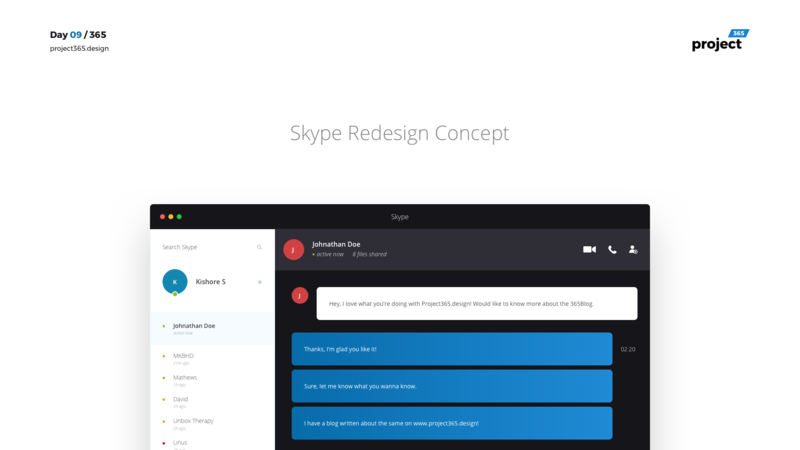 It’s Redesign Tuesday and I had Skype on my list for a redesign concept quite a long time ago. This is a very subtle redesign, with a lot of focus on the content and less on the fuss around it. The challenge was to make it as subtle as possible, making it a familiar experience. I personally wanted a change in typography, spacing, and colors. This is a mix of white and dark colors, to shift the focus of the user on the conversation. This was yet another fun redesign project. Do comment your views on the same!